Office 365, Journals, and Shared Mailboxes; Still an Option? Companies moving to Office 365 must decide what they should do with their on-premise compliance journals. The issue is Office 365 does not allow for journal mailboxes, so many companies have created workarounds. 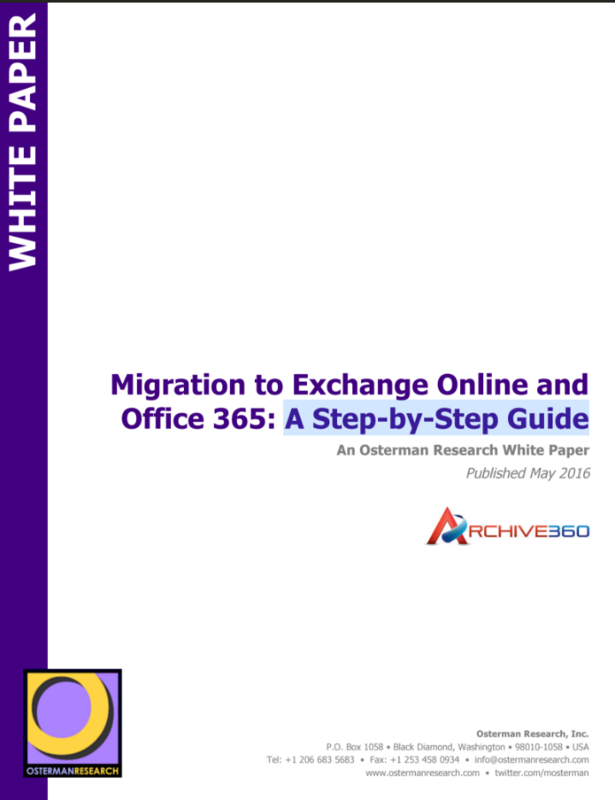 They include: Utilizing shared mailboxes for journal data Exploding legacy journals so they can migrate the journaled individual emails into the associated custodian mailboxes Keeping your on-premise Exchange server active is expensive. Using a proprietary third-party cloud is also expensive and risks the issue of vendor lock-in, otherwise known as data prison. Finally, the financial industry is no longer forced into purchasing and supporting overpriced on premise WORM storage or high priced, specialty cloud archives that lock them into the platform with ridiculously high penalties when you want to move your data out. Over the past couple of decades, on premise WORM storage systems such as the EMC Centera have a proven history of meeting the SEC Rule 17 a-4 immutability requirements. However, rising costs and complexity has caused the financial industry to move to the cloud for lower prices, higher security, and regulatory compliance. Social media platforms have proliferated as a direct method for companies to connect with their customers. However, in the last several years, businesses have been forced to collect and make available social media content for both eDiscovery and regulatory compliance.